“Stay in your own field of consciousness. We are the White Winged Conscious of Nine and we are here to invite you to stay in your own state of consciousness for all is in Divine Order. Each soul experiences what they have come to experience in physical form. 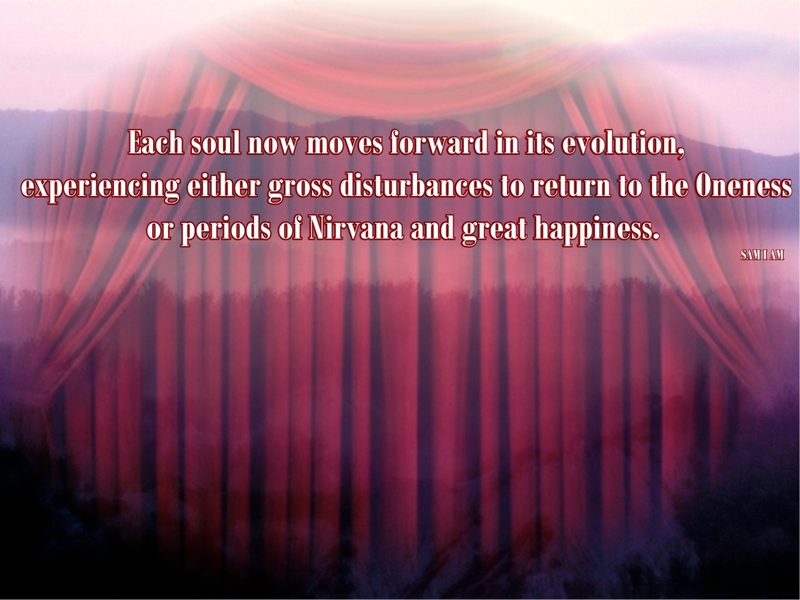 Each soul now moves forward in their physical form’s evolution as these cataclysms take place upon your earth. “Know that the consciousness you seek is already held within you. It is the consciousness of One. This Oneness spreads like wildfire throughout your world, throughout your consciousness. Know that all who seek to nurture this consciousness are guided and watched over very carefully. We are here to report; you are never alone. You have never been alone. You never will be alone for the Oneness to which many seek lies inside. This Oneness is held by all, yes nourished by few, but held by all upon your earth and beyond. “As these winter months unfold on your earth, know that each soul now moves forward in its evolution, experiencing either gross disturbances to return to the Oneness or periods of Nirvana and great happiness. For all, the consciousness of Oneness lies inside. This consciousness continues to reveal itself upon your earth. Know for many this may seem difficult to watch as the consciousness, which seems to be outside oneself, unfolds, evolves through chaos. But recall, each aspect of the whole, which seems in physical form is merely a part of your own consciousness. Experiences of good often increase when we concentrate on inspirational thoughts. Comments, questions and suggestions welcome at the Contact Page. Support your Self by purchasing an inspiring bedside companion from the Book Of One 🙂 Lightworker’s Log series! Visit SAM I AM Productions Books to support your Self and the author by purchasing books there and not through greedy corporations. Loving You! SAM I AM PROductions specializes in Internet Technology to help with humanity's ascension. We offer inspirational and thought provoking blogs, books, audios and videos with practical tools and messages based on experience in this and other realms of reality. SAM I AM on Time To Tap In! Sam on Time To Tap In!